Spread some holiday cheer as you decorate with LED red and green icicle lights. We have combined two of our most popular colors to make one bright string of icicle lights. Hang them from the roofline, across fences, or drape them over porches to create flawless professional quality light displays. Constructed with durable, weather resistant materials and LED technology so that these brilliant lights will last through many holidays. 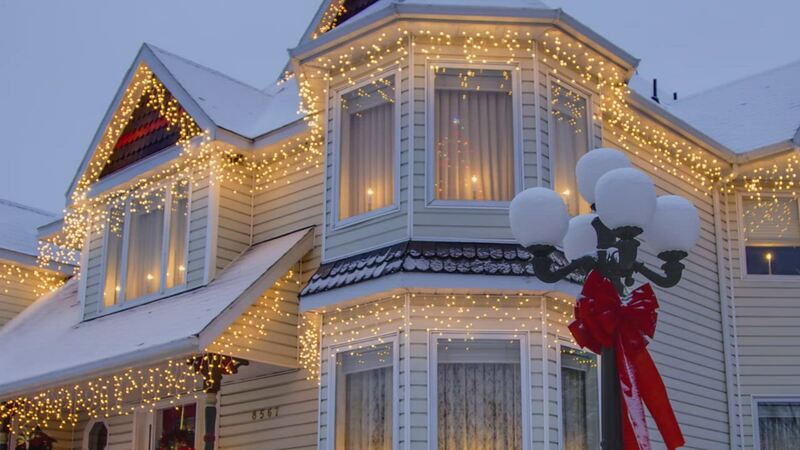 Deck your yard out in these festive lights this holiday season. These lights are beautiful. I bought 3 sets. Very bright. So happy with this company - my order was filled and received promptly! These lights are vibrant and have nice quality. As soon as I got these lights, I took them out of the package to see how they looked when plugged them. The colors are so bright! I can't wait to put them in my window for Christmas. I am going to get a few more sets. These are awesome! Bought 5 sets and just ordered 6 more. Work greats and my wife loves them. We love the lights. They look great. No problems with ordering or shipping. Just put them up over the weekend so we'll see how they do once winter really kicks in. So far so good though. These were a good match for the standard LED mini lights I put in my bushes as well. initially I was concerned since the 5mm light we're slightly different than the mini lights but they look great at night. Can't tell them apart. I love the lights, they are very festive for the Christmas season. A couple of neighbors have already made comments about how much they put them into the spirit of Christmas.